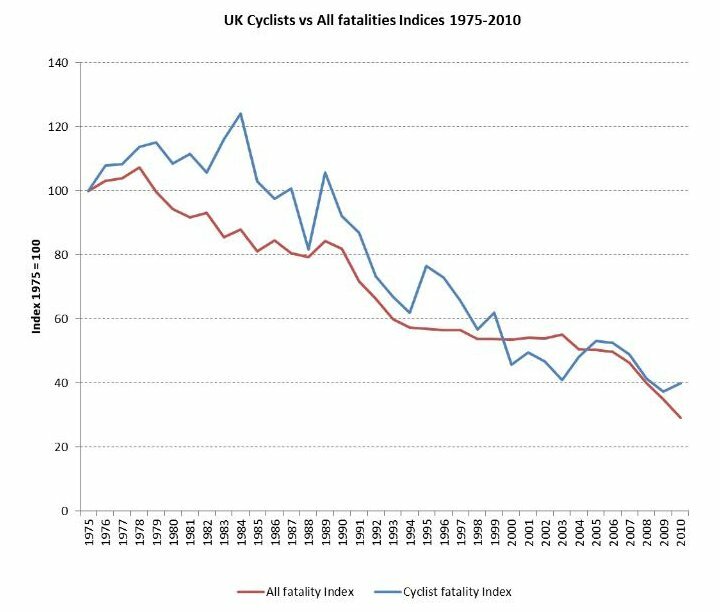 The trend in cycling fatalities has been more erratic than for all road users as the number of cycling deaths is very low and subject to random variation as a result. However, the cycling trend has fallen in line with the overall trend throughout this period. Road traffic casualties: Department for Transport. Head injury deaths from National Statistician using ICD9 codes N800-4, N850-4, N870-3.